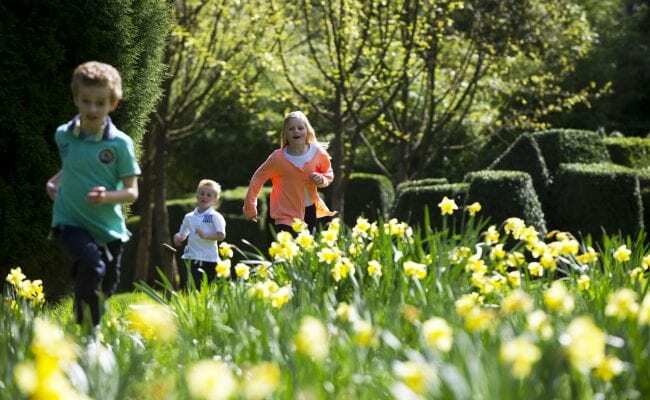 If you’re looking for school holiday events and things to do with the kids that will keep the whole family entertained, then Devon’s Top attractions have got this well and truly covered. Most of the attractions are bringing their Halloween Spooky fun events forward to fit into the October Half Term school holidays. From pumpkins to potions and bats to broomsticks, you will find all sorts of Spooktacular Halloween fun going on right across Devon. There’s some ‘BATacular’ fun at Combe Martin Wildlife and Dinosaur Park where you can take the Halloween trail of treats, enter the terrifying tomb and enjoy the Spooktacular shows. The National Trust have got lots on this half term, join NT Knightshayes for their Twilight Time and discover the spookier side of this quirky Victorian house. Make your very own mini lantern and, if you are brave enough, join them for an evening of Gothic Victorian novels told around the house by the characters themselves. Ride the Beer Frights Ghost Train – if you dare at Pecorama during their Autumn Half Term Week. Climb on board the thrilling twilight train ride, enjoy the children’s entertainment, taste the fearsome food in the Garden Room Restaurant and join the ghostly games in the marquee. And there’s even terrifying treats for all children dressed in fancy dress. This half term, Crealy has their biggest Spooktacular event ever! Attractions include the Scarecrow Scare maze, the Creaky Hotel with brand new features that guarantee to be spookier than ever before. And, there will be the treehouse trolls, the singing pumpkin show and the firework extravaganza, plus there’s a free pumpkin for every child. Experience a spooky, spellbinding Halloween at Powderham Castle. The witches and wizards from Pocket-watch Theatre Company will be returning with a new potions class. Remember to wear your best magical robes and bring your wands. There’ll be Halloween crafts and games too. The Witch of Wildwood Escot is back for October half term. Visit the Saxon village and experience Halloween with the people who invented it. Have a go at dunking for apples, toasting of marshmallows and much more. Have a ‘scream’ this Halloween at the Donkey Sanctuary, brave the bat beacon, or follow the trick or treat trail. Or enjoy the ‘Halloween Hocus Pocus’ going on at the Milky Way Adventure Park. Enroll in the special school for witches and wizards and take part in wand making, spell writing and broomstick riding. All activities are designed to be fun rather than scary. There’s more Halloween family fun going on at Woodlands. Visit Marty the Monster in his manor and experience mysterious surprises around every corner. Can you find the secret door in the spooky library and tip toe through avoiding the spider’s web and creepy crawlies? Or join Marty at his Monster Disco on the 26th October dressed in your best Halloween outfit. All the animals will be waiting for their last cuddle of the season at Pennywell Farm and the they also have the goat-to event of the year going on, its Gruffts Goat Week, a new event showcasing the agility and disobedience of these creatures and set to be lots of fun. Matt Pang gentleman juggler returns with double doses of his charming circus-theatre Big Show, twice daily on the 20th and 21st October and it’s all included in your admission price. Or attend the ‘Pennywell Dark Skies Evening’, a special evening of star gazing on 20th October for all levels of astronomers. Join the underground pumpkin hunt and look for the pumpkins hidden at Kents Cavern Prehistoric Caves. If you find the correct number, you will be treated, not tricked! And just down the road at Bygones they have a spooky experience waiting for you, including a spooky Halloween hunt. There’s an entire fortnight of Halloween fun at World of Country Life, celebrating the end of the season they have an extended two weeks full of Halloween fun and games where you can also see their special ‘Back to the Future’ show! Head for The Big Sheep where its fun by day and scary by night. Be amused by the themed entertainment during the week with all sorts of goings-on. From pumpkin carving to riding on the scary haunted hay-ride. Try your hand at the witches flying school, enjoy a lazy paddle in a spooky swan pedalo and then challenge the family to spot all the friendly spooks and beasties as you take a ride on the ghost train. And Big Sheep have a spectacular bonfire and fireworks display on Bonfire night itself. There’s a week of activities and events at Coldharbour Mill, try the ghost trail and pumpkin carving and a craft market. Plus, the finale to the week is ‘Halloween in Steam’. Head for Morwellham Quay, for a week of Halloween fun. Ride the spooky mine train, make creepy crafts and join the Halloween hunt. Meet the witch in her den and finish the day with some trick or treating around the village. Celebrate Halloween at Becky Falls, with plenty of spooky craft activities, pumpkin carving and special effects scary scars. Dare to see the ‘Animal Encounters of the Scary Kind’ show where you can meet and touch snakes and lizards if you are you brave enough! 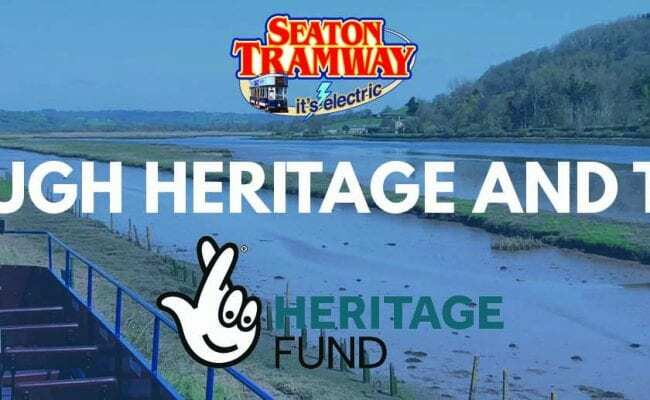 Travel on the ‘Tram of Terror’ at Seaton Tramway with their gruesome tram drivers to Colyton Station where there will be lots of spooky entertainment and activities on offer. All children receive a ‘baddie bag’ and dare to taste the revolting refreshments! Just the ticket for half term is ‘Kids for a Quid’ at South Devon Railway. Enjoy the stunning Autumnal views of the River Dart and the beautiful South Devon countryside, while taking a trip on a heritage steam railway, kids travel for just a £1 with trains running all day. Celebrate Apple Day in Clovelly on 24th October with lots of apple crafts and activities and you can even bring your own bag of apples with you to be pressed.